Westin stainless Platinum Series oval nerf bars are the perfect option when you want the sleek and tight tube step look, yet want to get the widest stepping area possible. 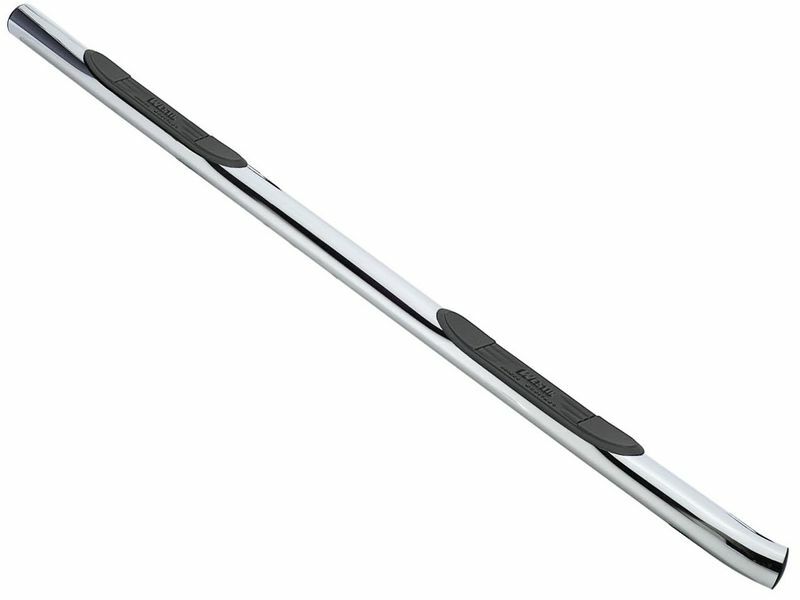 At its widest, the stainless Platinum Series nerf bars are 4.25 inches with the recessed step pad being a solid four inches of grippable stepping space. The elliptical shape gives an extra wide step surface as well as provides a different look for your truck, SUV, or crossover. The unique molded multi-level design gives you a very different look and feel than other nerf bars on the market. In addition to adding matchable style, your finish gives you resistance against rust and other road hazards like rock chips and minor denting. All Westin nerf bars are shipped in pairs. Custom mounting kits that are vehicle specific / no drill applications are included with each and every order. The stainless steel finish is backed by a LIFETIME warranty.